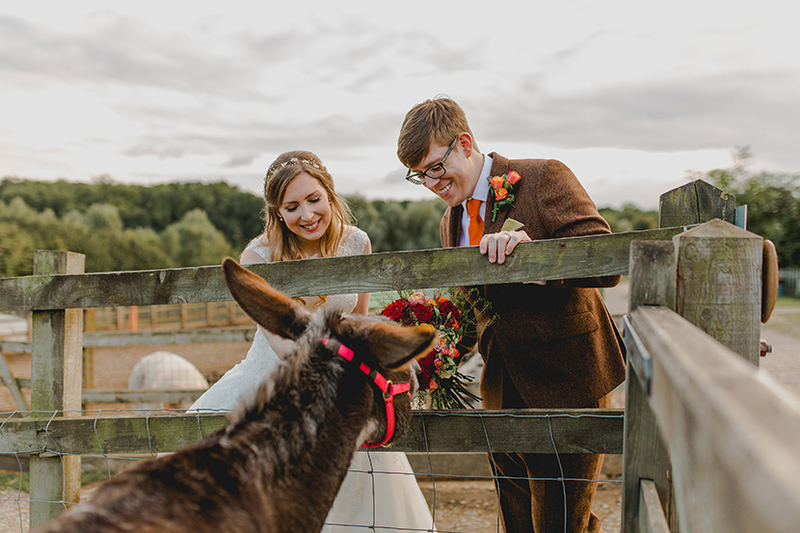 We’ve been photographing weddings now since 2011, so we’ve seen our fair share of cool and unique rustic wedding ideas. 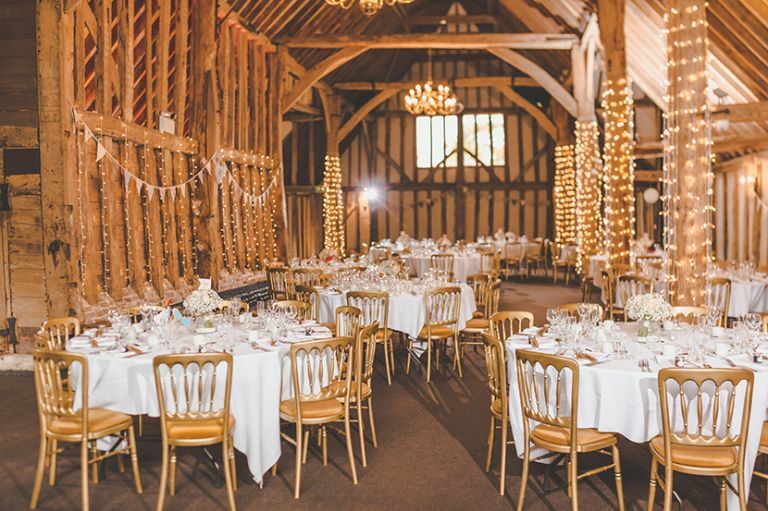 One wedding trend that has been prominent over the last few years is “rustic”. Rustic chic has taken many forms and is ever popular with couples. 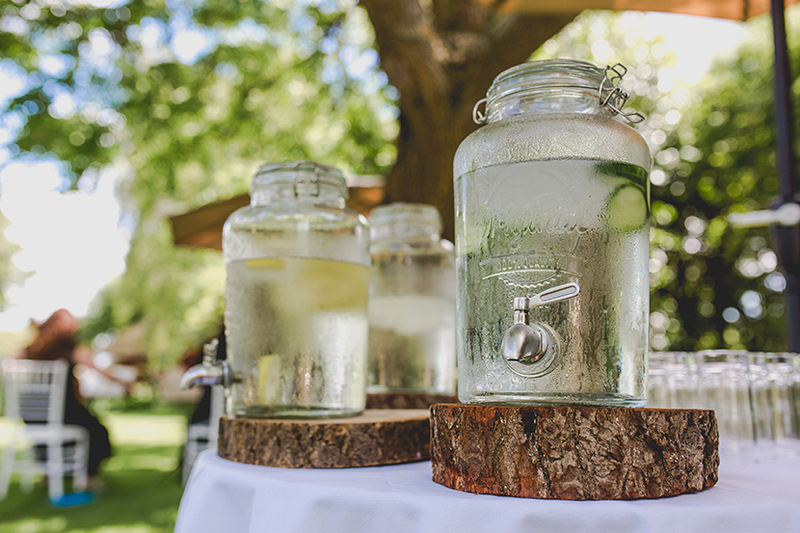 There are many ways that you can incorporate rustic wedding ideas into your theme. So whether you’re looking for a subtle nod or a full on theme, hopefully you’ll like some of these ideas. Obvious? Definitely! 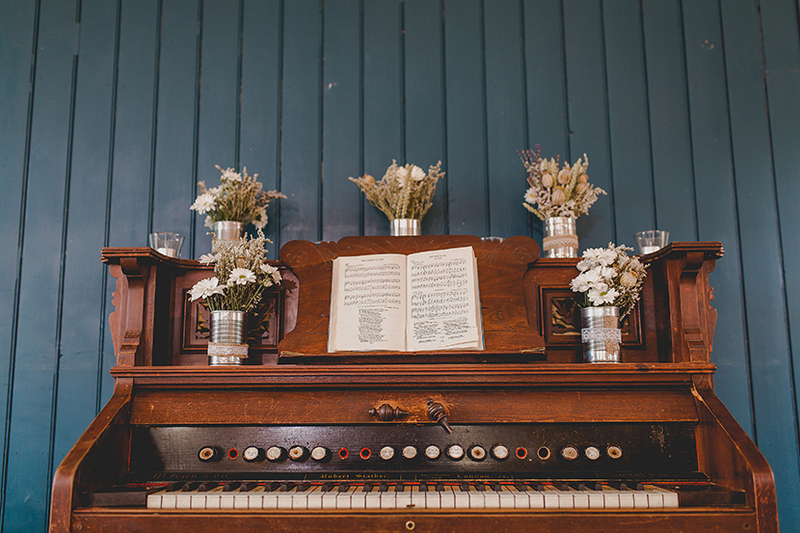 The most surefire way to set the tone for your rustic wedding though is with your venue. 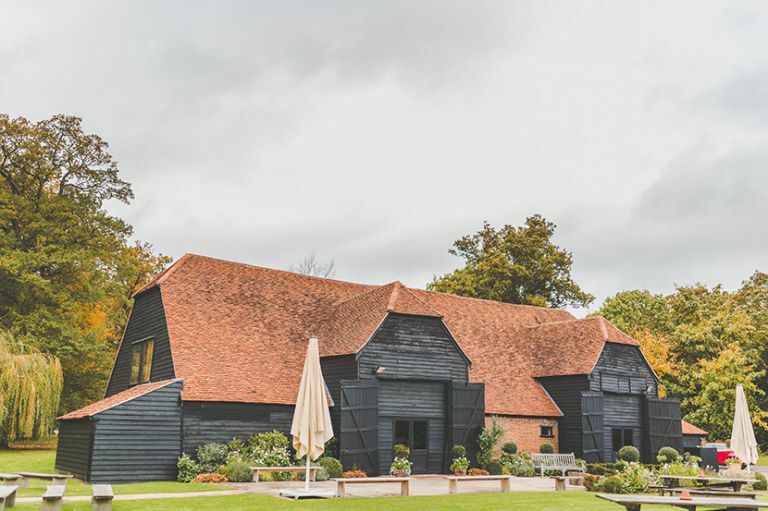 Barns work really well for these kind of weddings. 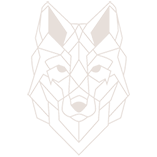 As they already look a little rustic they often need less work and dressing and therefore less money spent on bringing your vision to life. There’s something about autumn that just says rustic. The change of colour in the trees, the lower sun in the sky and the subtle glow of golden colour all around. 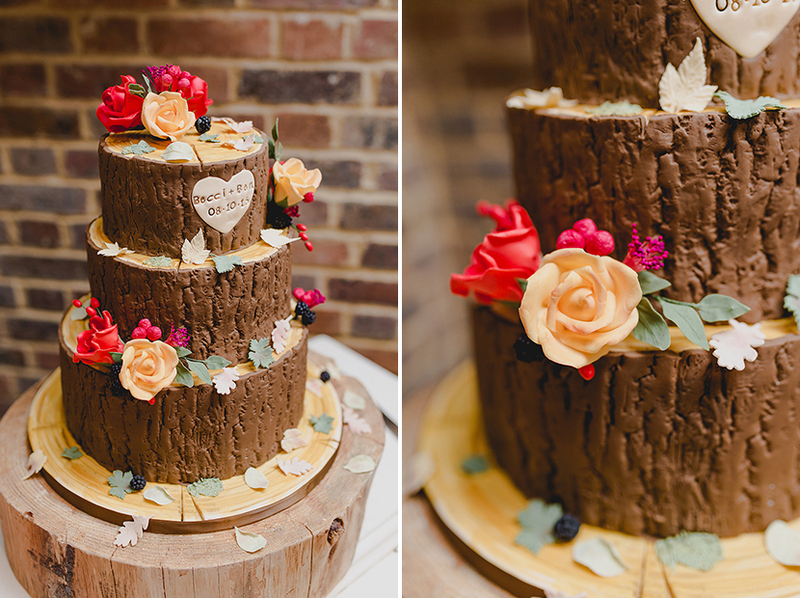 It’s the perfect time of year for a celebration with a rustic touch. 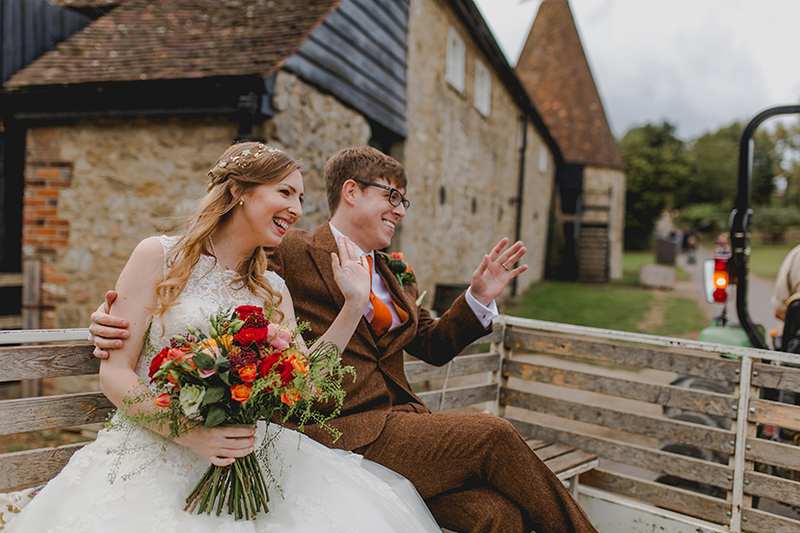 Often an afterthought, but transport is a really easy way to introduce your theme to guests on the day itself. Lots of people to transport? What about a tractor or trailer!? They are so much fun and your guests will love love it. From kids to grannies, everyone dons a smile for a tractor ride! 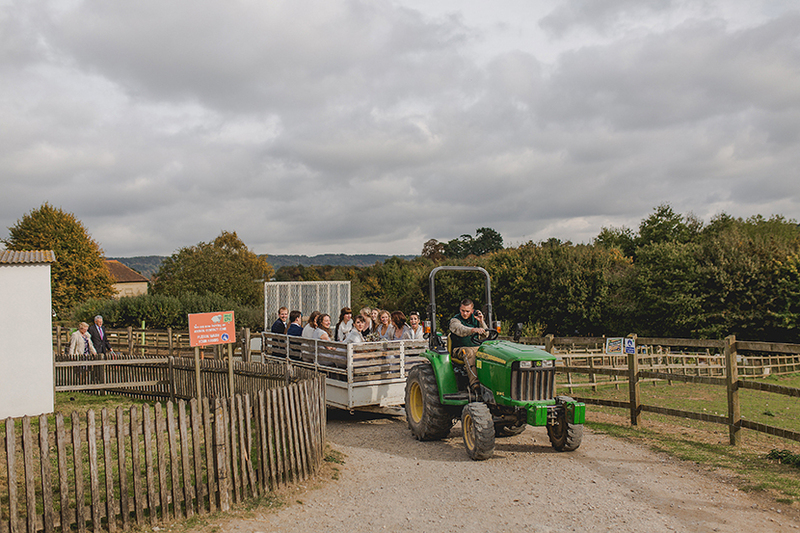 Farms are also very cool and can double up as a source of entertainment for guest as well. 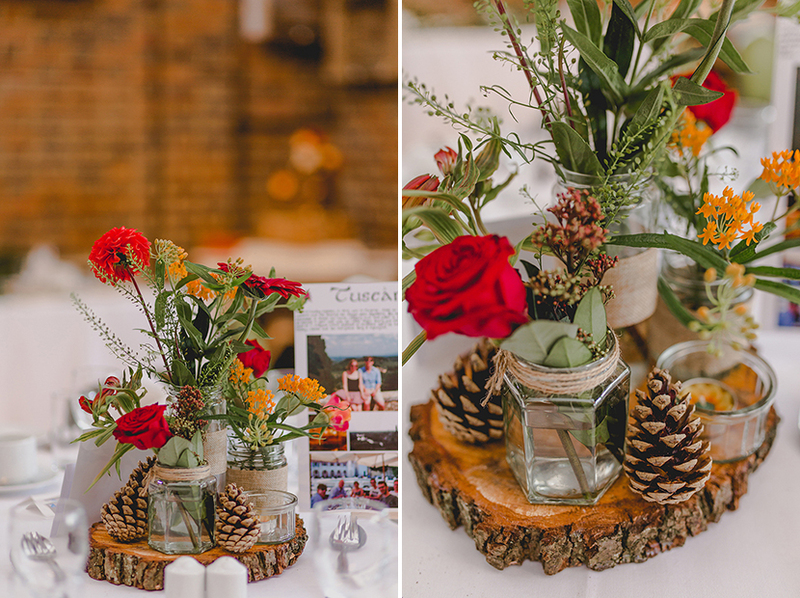 Whatever your interpretation of “Rustic” flowers are a great way to achieve the look. 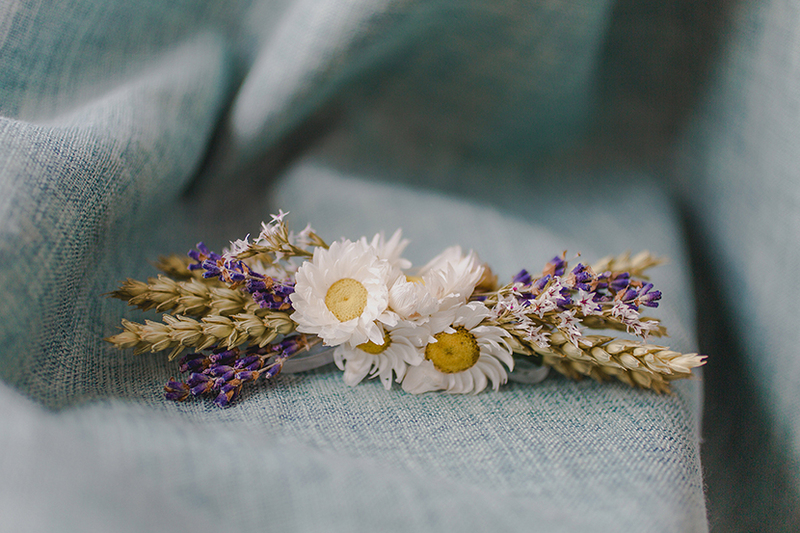 Dried flowers can be really beautiful and are very versatile. 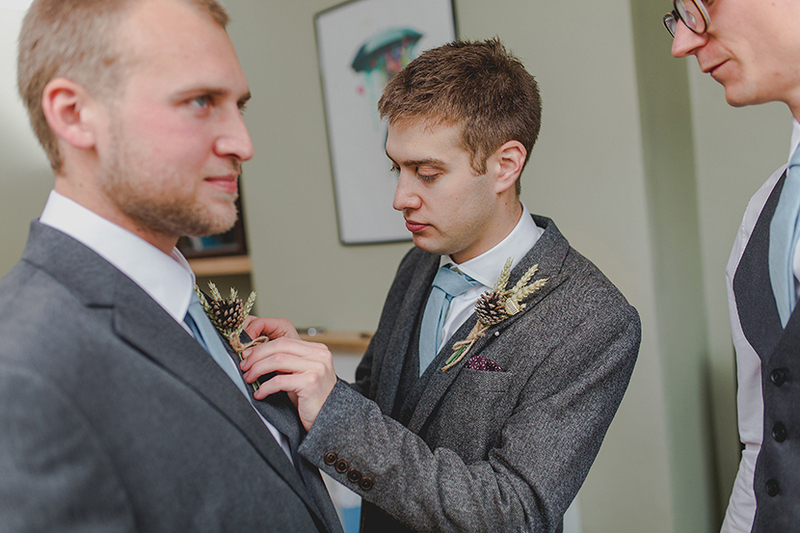 I chose dried flowers for my own wedding as I wanted to be able to keep them. They now sit proudly in my living room, on the bookcase! 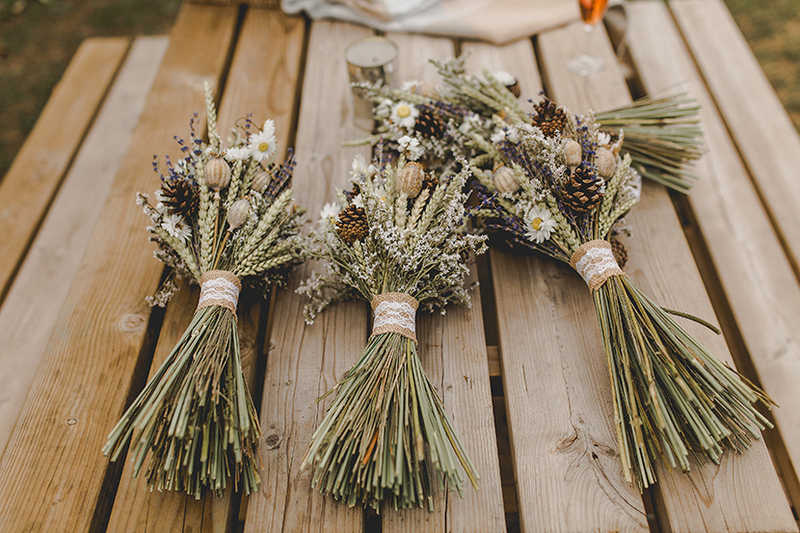 If you’re after a more boho feel, loose wildflower arrangements and foliage are really pretty. Once upon a time the mere suggestion of haybale seating would have been sneered at. Now? SO popular. Some might say overdone. Ignore those people! Super for outdoor weddings, relatively cheap and very effective. They don’t need anything doing to them either, but if you did want to push the boat out they can be easily accessorised with covers for example. 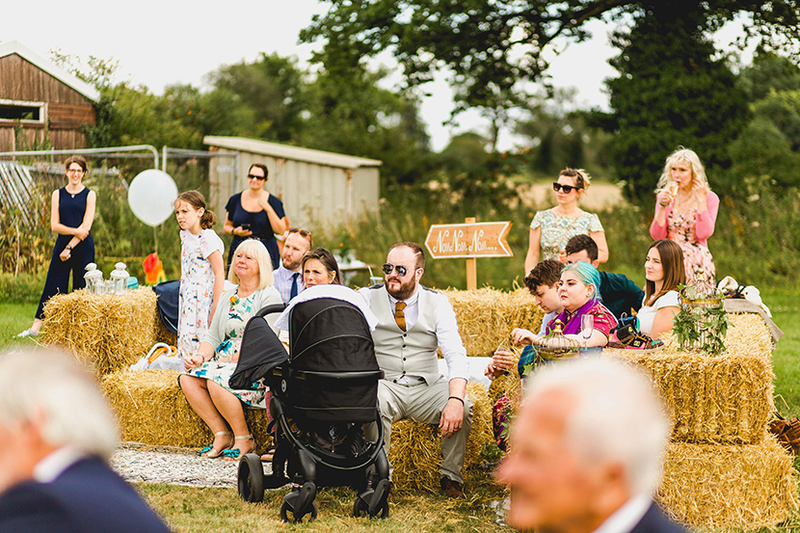 Put a rustic spin on the traditional photobooth and opt for something a bit more complementary to your theme perhaps. 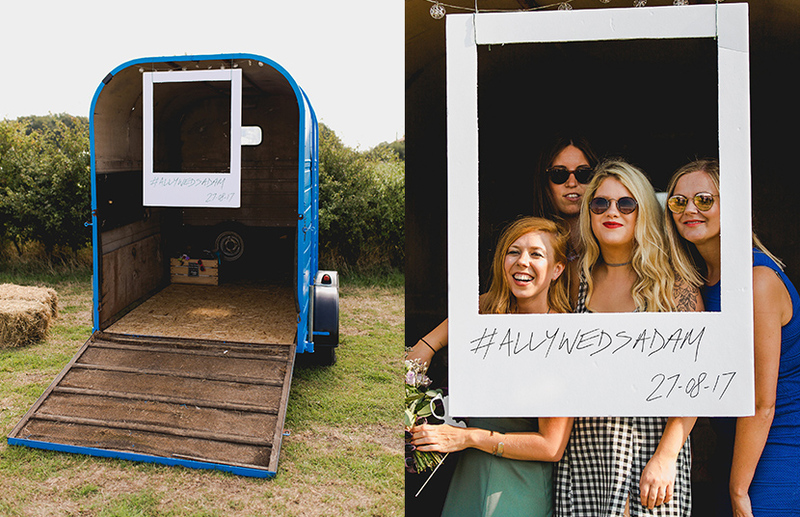 An old horse box is a fantastic makeshift photobooth and some barn venues that are, or were once working farms still have them around. 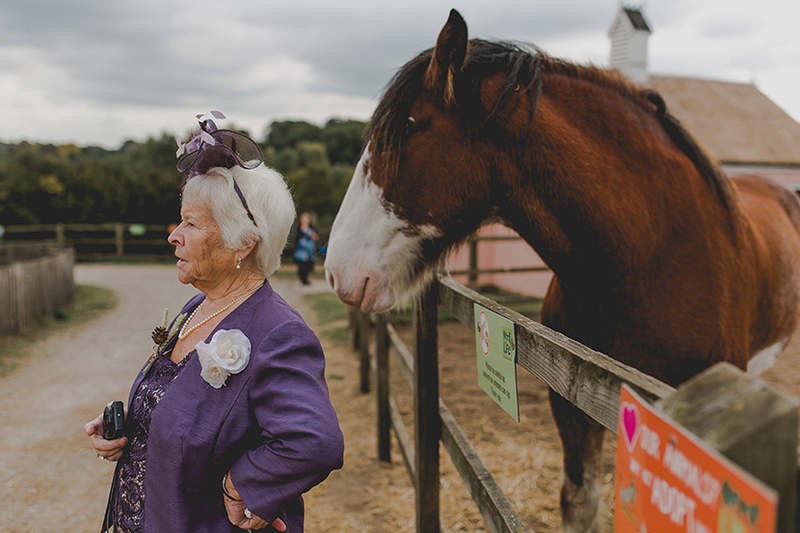 So far as entertainment goes there are lots of things you can do to work alongside your venue if you’ve gone the rustic route! 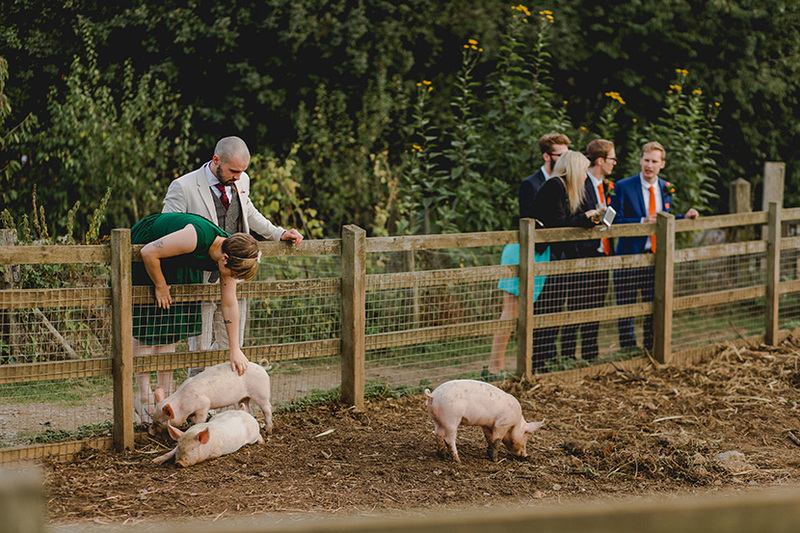 As above, if you’ve opted for a farm, the farm itself and animals may be a good source of entertainment. Aside from this, traditional games such as conkers will make everyone smile. Again, simple and cheap. Sack racing is another one. 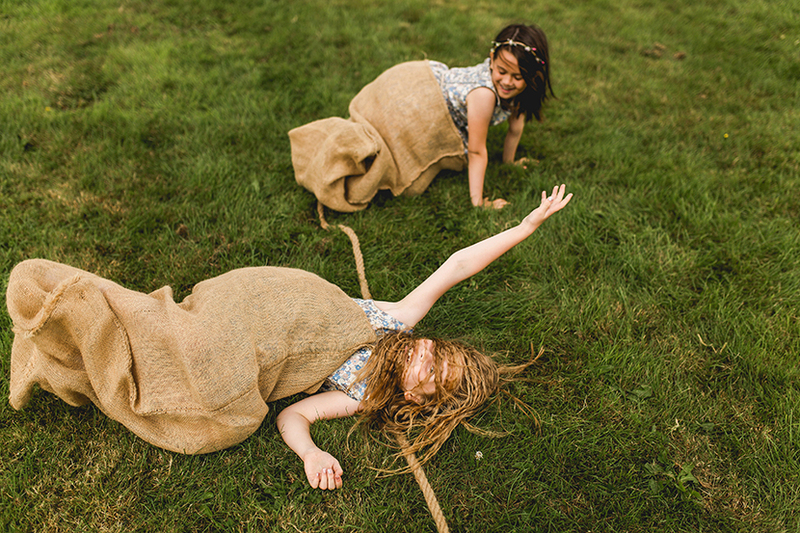 We had sack racing at our wedding and it was SO much fun. If you’re worried about going OTT with a theme and would like just a few subtle hints instead, then rusticing up the cake is surely the way to go. Whilst keeping everything else subtle you can be as elaborate as you’d like with the cake and it still wont be too much. 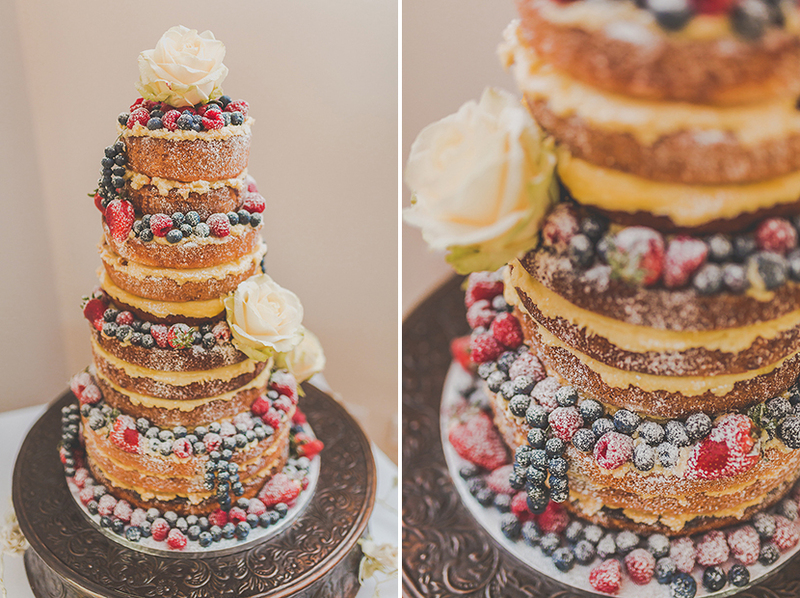 Although they seem common place at all kinds of wedding now, naked cakes are the original must have for a rustic wedding. Usually dressed with fruit and/or flowers they are ever so pretty! Keep in mind though that they melt. Yes, they melt! 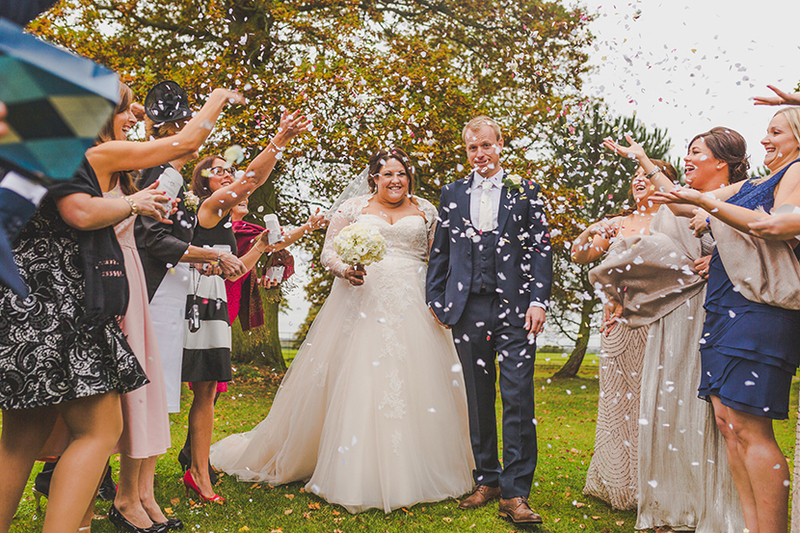 So if you’re marrying in summer or in a location that’s generally warm, i’d advise against one personally unless you want your tiers sliding all over the place. Instead, why not go for something quite visual? You will be the stars of the show on your wedding day, so you can, of course, wear whatever you’d like. 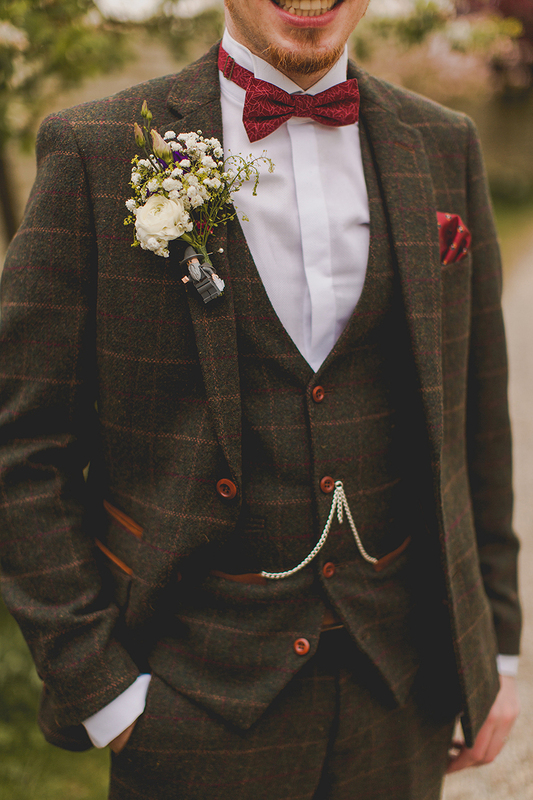 For guys, tweed can be great as can wool. Quite warm for summer days, so subtle patterns on suits of a lighter material can also work. If you’d like to keep it quite plain, accessories are the way to go. Tie pins and cufflinks for example. There are literally thousands of ways to dress a table. Back in the day (by which I mean, about 3-4years ago!) burlap everything was a must have for a table at a rustic wedding. These days, it’s fallen out of favour a little and couples are opting for other things instead. Burlap is still a really cost effective way to add a bit of charm to your tables. Especially if you have a venue that provides all white everything. 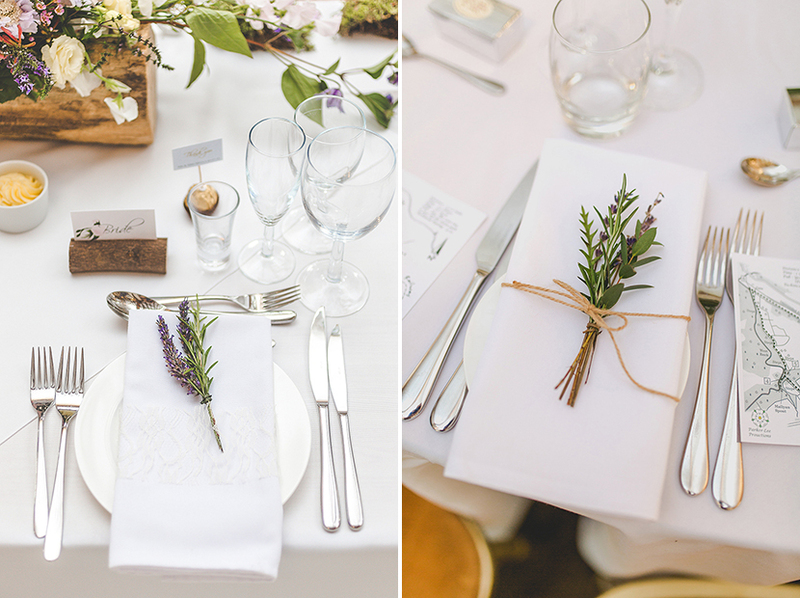 Small touches like a burlap napkin ring and a sprig of lavender for example. Or a few jars with burlap ribbon. The first exposure to your wedding that many of your guests will have will be via their invitations or save the dates. As such this is an ideal opportunity to provide them with a taste of what’s to come! There are bucket loads of designs out there and thousands of ideas no matter what you’re looking for. 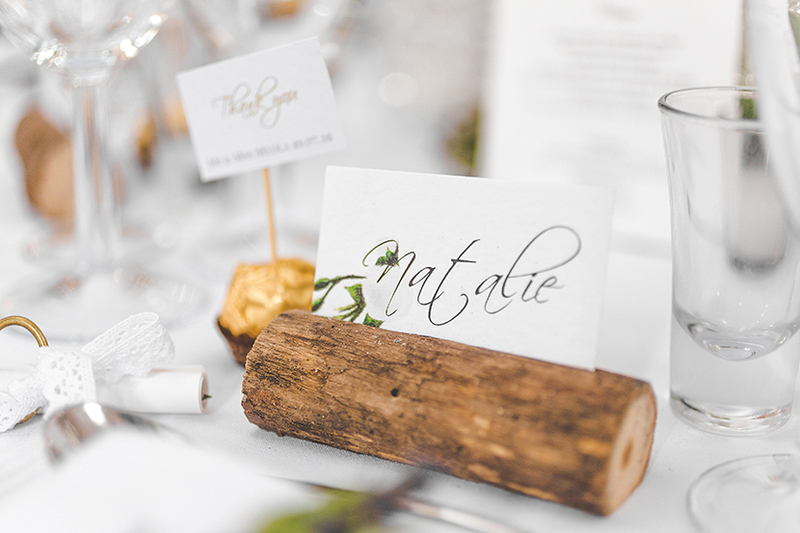 Personally, I love wooden invitations for something unique. They’re not the cheapest things in the world, but if they’re in budget they are very cool indeed. 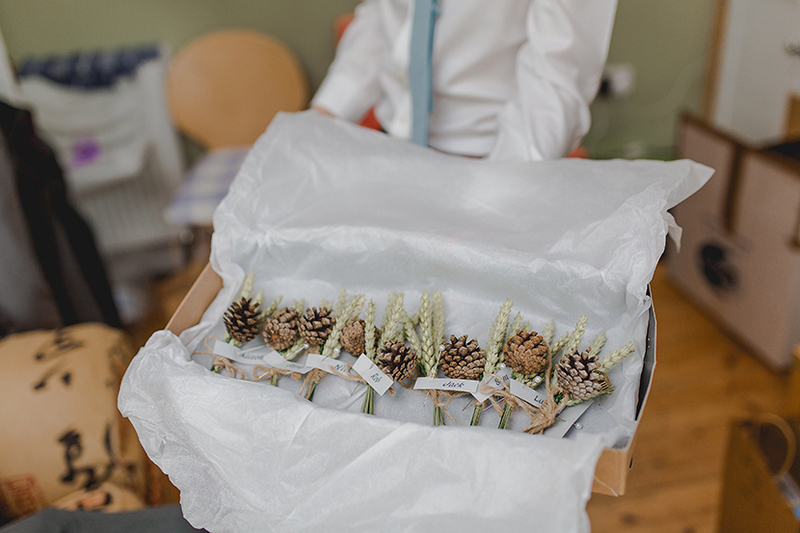 For a few finishing touches, why not consider seasonal elements such as pine cones or dried fallen leaves? Pretty, unusual and most of all cheap as you can collect these yourself. Providing you prepare in advance, you should be able to collect these kind of touches yourselves. 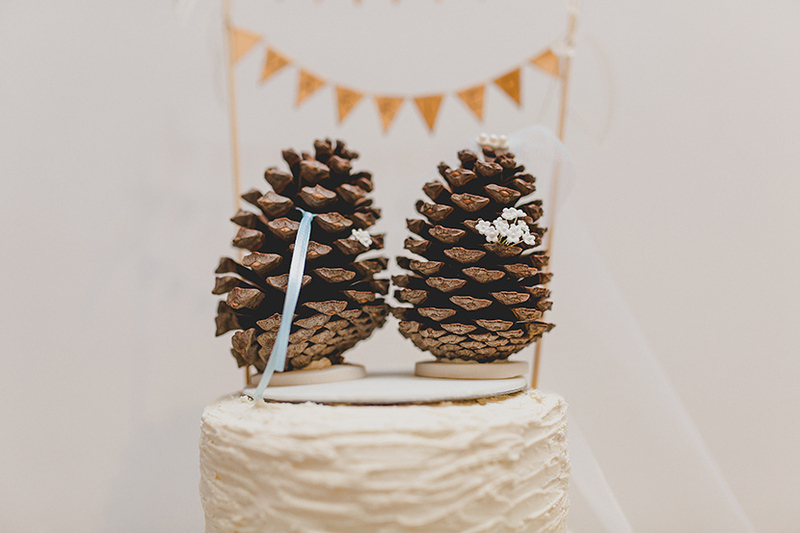 Log slices on tables, to display your cake or other bits and pieces are also very fitting! 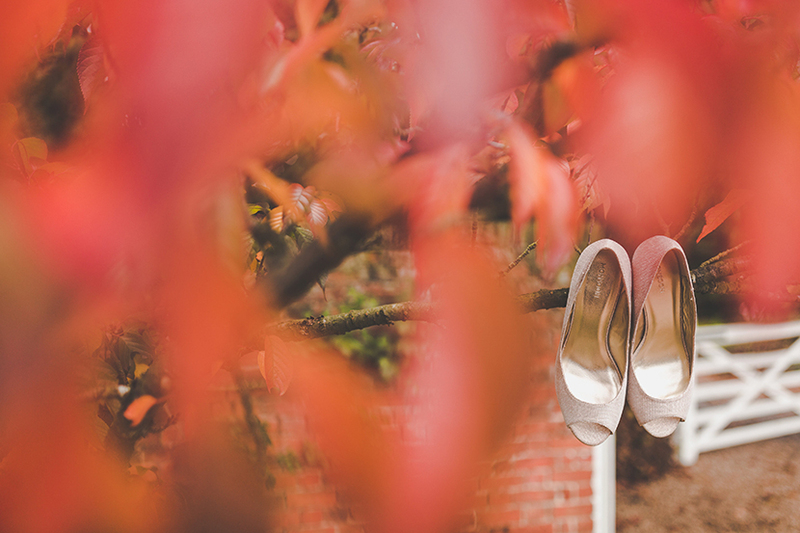 I hope this wedding blog has given you some food for thought. Hopefully you will have found some fun and unique rustic wedding ideas to assist with your planning.